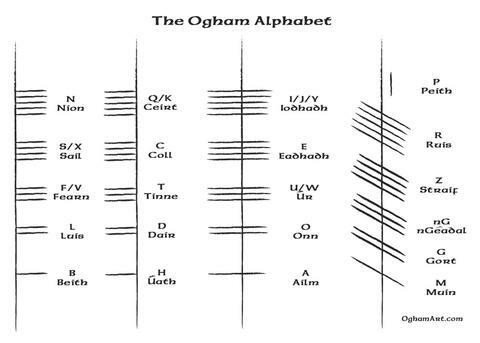 Ogham is the earliest written form of Primitive Irish, the oldest of the Gaelic languages. 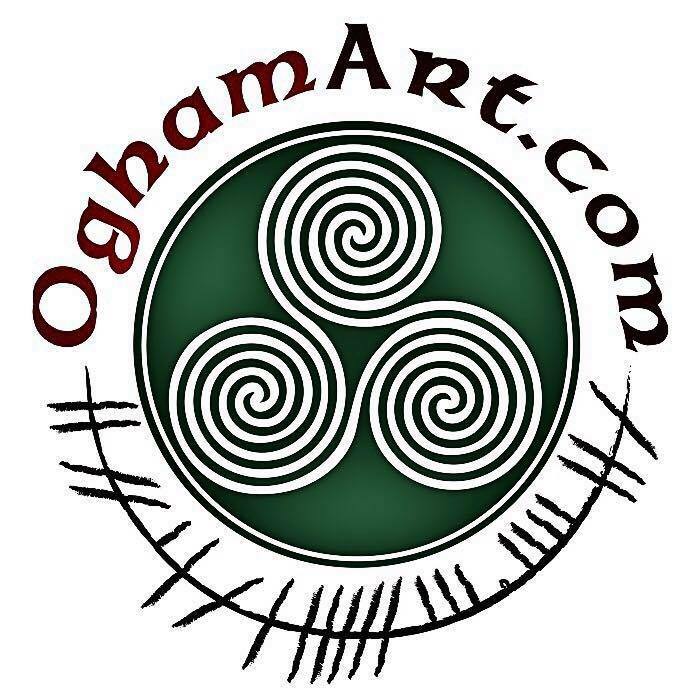 Ogham was first used in Ireland and parts of England, Scotland and Wales between the 2nd and 6th centuries. Though its actual origins remain a mystery, it’s believed the Celts desired a cryptic alphabet that could not be deciphered by Roman Britain. Represented as a series of perpendicular and intersecting lines, this ancient script is thought to be influenced by the Latin alphabet using 20 characters. It is most commonly written vertically and is read from bottom to top. When presented horizontally, it is read from left to right. Ogham was carved into stones and trees to mark land boundaries or to commemorate a member of the community. Today there are roughly 400 surviving stones featuring proper names, ancestral and tribal affiliations, and Latin words. 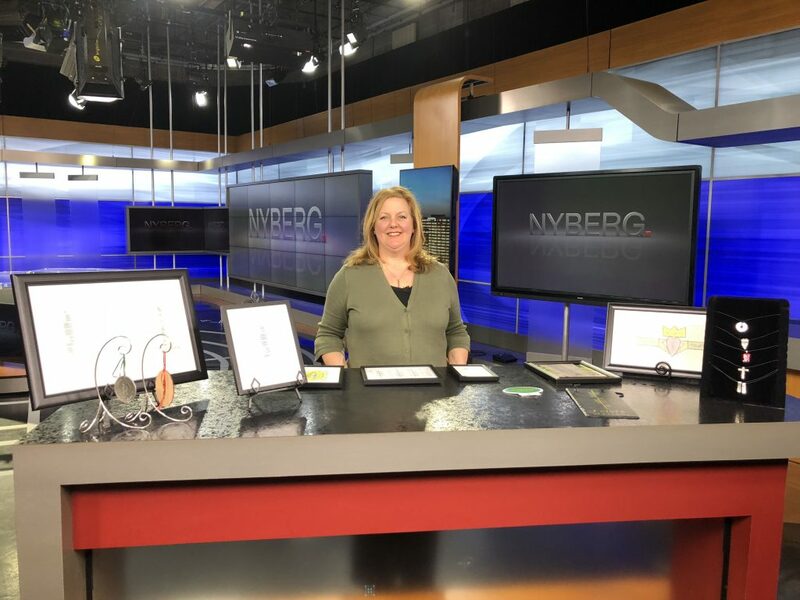 Keeping it alive for others to learn about is Colleen Berry Conway of Connecticut….yes, she’s Irish. She owns a company called Ogham Art where you to can have you name spelled out in Ogham on prints, stationery, jewelry and other gift items.